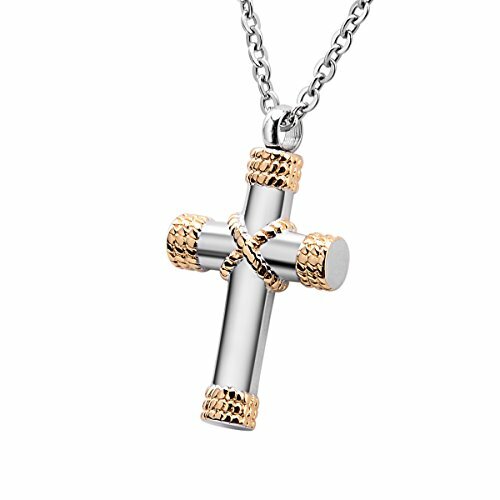 Cross Cremation Ashes Urn Necklace Memorial Pendant Stainless Steel Waterproof Jewelry (Gold) by B&Y at Home Decor Outlet Store. MPN: B00YE0A08F. Hurry! Limited time offer. Offer valid only while supplies last. *100% brand new item and high quality. *Impressive craftsmanship,product quality guarantee. *Reasonable price,safty sale and delivery management. If you have any questions about this product by B&Y, contact us by completing and submitting the form below. If you are looking for a specif part number, please include it with your message.